An important problem in historiography is the politics of recognition. Which theory gets recognized and which doesn’t sometimes depends on who is saying it rather than what is right. Take for example, the Aryan Invasion Theory. Historians like A L Basham wrote convincingly about it and it was the widely accepted fact. Over a period of time, the invasion theory fell apart; the skeletons, which were touted as evidence for the invasion, were found to belong to different cultural phases thus nullifying the theory of a major battle. Due to all this, historians like Upinder Singh categorically state that the Harappan civilization was not destroyed by an Indo-Aryan invasion. But the Aryan Invasion Theory is still being taught in Western Universities and those who question it are ridiculed. In this atmosphere if any academic dares to support the Out of India Theory, that could be a career-limiting move. Eurocentric historiography has affected not just Indian political history, but the history of sciences as well. Indigenous achievements have not got the recognition it deserved; when great achievements were discovered, there have been attempts to explain it using a Western influence. In 1873 Sedillot wrote that Indian science was indebted to Europe and Indian numbers were an abbreviated form of Roman numbers. Half a century before that Bentley rewrote the dates for various Indian mathematicians, pushing them to much later and blamed the Brahmins for fabricating false dates. Some of these historians were willing to acknowledge that there were some great mathematicians till the time of Bhaskara, but none after that and without the introduction of Western Civilisation, India would have stagnated mathematically. George Gheverghese Joseph disputes that with facts and goes into the indigenous origins of the Kerala School of Mathematics which flourished from the 14th century starting with Madhava of Sangamagrama and ending with Sankar Varman around 1840s. Though there were few mathematicians in Kerala in the 9th, 12th and 13th centuries, what is today called the Kerala School started with Madhava who came from near modern day Irinjalakuda. His achievements were phenomenal; they included calculating the exact position of the moon and what is now known as the Gregory series for the arctangent, Leibniz series for the pi and Newton power series for sine and cosine with great accuracy. Following Madhava, the guru-sishya parampara bore fruit with a large number of students in that lineage achieving greatness. These include Vattasseri Paramesvara, Nilakanta, Chitrabhanu, Narayana, Jyeshtadeva and Achyuta. They wrote commentaries on Aryabhata (who was an influential figure for Kerala mathematicians), Bhaskara and Bhaskaracharya, recorded eclipses and dealt with spherical and planetary astronomy and produced many theorems and their proofs. Tantrasangraha by Nilakanta was a major output of this school. In this book, he carried out a major revision of the models for the interior planets created by Aryabhata and in the process arrived at a more precise equation than what existed in the world at that time. It was even superior to the one developed by Tycho Brahe later. These are the people we know about; Joseph writes that many more could be found from the uncatalogued manuscripts in Kerala and Tamil Nadu. The book also goes into the social situation in Kerala which made these developments possible. 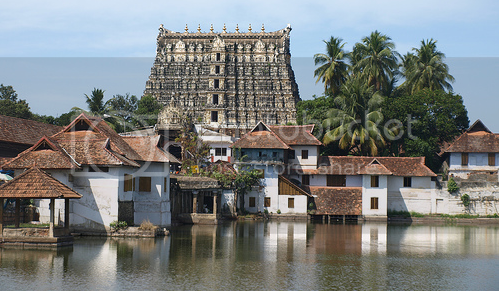 By the 14th century the Namboothiri Brahmins, the major landholders were organized around the temple. They had a custom by which only the eldest son entered a normal marriage alliance and got his position in society by taking care of property and community affairs. The younger sons did not marry Namboothiri women, but entered into relations with Nair women — a practice called sambandham. They had to gain prestige by other means such as scholarship and the book makes the case that these younger sons formed one section of these mathematicians. In an agrarian society which depended on monsoons, the precision of the calendar and astronomical computation of the position of celestial bodies was important. Astrology too was important for finding auspicious times for religious and personal rituals. All this knowledge was nourished, sustained and disseminated from the temple which served as the hub of this intellectual activity. The temple also employed a large number of people — priests, scholars, teachers, administrators — and there were a number of institutions attached to the temple where people were given free boarding and lodging. After explaining the social situation in Kerala which facilitated the such progress, the final section of the book tackles an important problem. Two important mathematical developments of the 17th century are the discovery of calculus and the application of the infinite series techniques. While Europeans like Leibniz and Newton are credited with this work, the book argues that the origin of the analysis and derivations of certain infinite series originated in Kerala from the 14th to the 16th century and it preceded the work of Europeans by two centuries. The mystery then is this: how did this information reach Europe? The book presents multiple theories here. It considers the option that Jesuits were the channel through which this knowledge reached Rome and from there spread elsewhere. There have been many such examples of transmission from the 6th century onwards with knowledge reaching Iraq and Spain and eastward to China, Thailand and Indonesia. But extensive survey of Jesuit literature did not provide any data for this transmission. Understanding the cryptic verses in which the information was written required investment of time and excellent knowledge of Malayalam and Sanskrit. Though Shankar Varman spoke to Charles Whish in 1832, that level of sharing of information may not have happened in the 14th century. The book then presents an alternate theory that the information may have slipped out unintentionally; the computations of the Kerala school would have been interesting for navigators and map makers and it would have been transmitted through them and then reconstructed back in Europe. This topic is not closed yet and much more research has to be done. The book is not written purely for the layman in the style of Michel Danino’s The Lost River or Sanjeev Sanyal’s The Land of Seven Rivers. There are large portions of the book which contain mathematical proofs by these great mathematicians and can skipped for those who are not mathematically inclined. There was something a bit odd about an appendix appearing in the middle of the book. While dealing with the history of mathematics in India, the book starts with the ‘classical’ period and with Aryabhata (499 CE). Recently, there was a course Mathematics in India – from Vedic Period to Model Times taught by Prof M D Srinivas, M S Sriram and K Ramasubramanian, whose videos are available on YouTube. The course, very rightly starts with the ancient period, starting with the Sulvasutras (which is prior to 500 BCE) and such ancient knowledge should be acknowledged. During these times when every development is attributed to Greece or Europe, the book dispels that notion completely and argues for an indigenous development of the Kerala School. Thanks to the work of various post-Independence historians, we have more information about the the Kerala School of Mathematics and that information is getting more popular. The Crest of the Peacock: Non-European Roots of Mathematics by the same author and Mathematics in India by Kim Plofker, all talk about the history of Indian math and Kerala School in particular. But in more popular books, these developments are rarely mentioned because Indian mathematicians followed the computational model of Aryabhata which is different from the Greek model. In this context, books like A Passage to Infinity are important for us to understand these marginalized mathematicians. Recently the Society of Biblical Literature published the book Neo-Babylonian Trial Records (Writings from the Ancient World) by Shalom E Holtz. According to the description of the book, “this collection of sixth-century B.C.E. Mesopotamian texts provides a close-up, often dramatic, view of ancient courtroom encounters shedding light on Neo-Babylonian legal culture and daily life” and 50 cases are documented. Going even back in time, in 2062 BCE, an Indus colony existed in Mesopotamia and we have detailed documentation from that period mentioning the names of the colonists along with grain delivery records and debt notes. When it comes to India during that period, such detailed records are lacking. Due to this, daily life in the Indus-Saraswati period is documented not from written records, but from archaeological evidence. As scholars get into the history of Indian philosophy, they run into new issues; there is not much biographical detail of the philosophers. In fact a common trend among Indian philosophers was to avoid writing personal details, and not have any mention of the social and political context, as they would be just distractions. While we know about Machiavelli’s childhood from his father’s documents and his personality based on the chronicles from his contemporaries, all we know about the Varanasi philosopher Raghudeva Bhattacharya that he was a student of Harirama, lived in Varanasi and had his work translated by Mahadeva. These become important as we discuss the concept of modernity in Indian philosophy. Did Indian philosophers turn against the ancient traditions like Francis Bacon and Descartes who had warned that one should not stay with the past too much. Overwhelmed by the Mughal and subsequent British influence, did the Indian philosophers invent a neo tradition dissing the past and incorporating concepts from the non-Indian world? Was modernity in Indian philosophy instigated by Western influence? Ganeri tries to answer all these by going through the evolution of Navya Nyaya school of thought which originated in Mithila, but later flourished in Navadipa and Varanasi. The person responsible for this school was Raghunatha Shiromani (1460 – 1540), the author of Pad-rtha-tattva-nir-pa-a, and who preceded both Bacon and Descartes by a century. He was a contemporary of Caitanya Mahaprabhu and advocated a “reason and evidence-based critical inquiry”, than scriptural exegesis. He asked philosophers to think for themselves and reflect on matters, which seem contrary to accepted opinion. The Navya Nyaya school was quite popular and attracted students not just from India, but from Tibet and Nepal as well; some Sanskrit pundits even went to Tibet in the 17th century to assist the Dalai Lama. 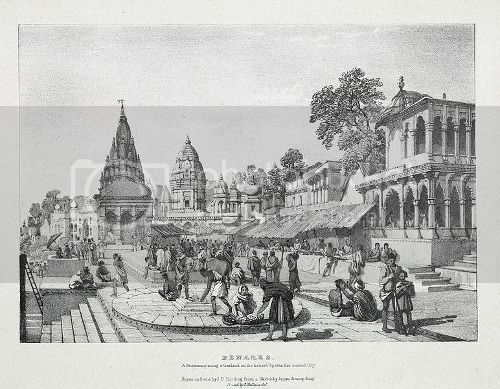 Ganeri discovers that unlike in Europe, where there was a tendency to break away from the past to display modernity, Indian philosophers did not think that was necessary. Instead they bridged the ancient past and the emerging modernity. Raghunatha and his students, who pioneered evidence based critical enquiry, reinterpreted the ancient texts and found no incompatibility between the ancient and modern. Ganeri argues that if you have to understand modernity in the Indian philosophical context, you have to discard the notion that modernity is a rejection of the ancient. Instead what is seen in the period mentioned in the book — 1450 to 1700 — is a new type of commentary, which looks at the hidden meaning in the ancient texts. These philosophers wrote commentaries without deference for the ancient with the purpose of educating their contemporaries, explaining a difficult point, filling in gaps or presenting a deeper non-obvious meaning. Some of these commentaries, like those of Raghunatha apply a new framework on an older text. Another goal was to make the reader think well; they had a layered model of the world in which concepts worked at the smallest scale as well as at the highest levels with composite bodies. When expressing complex ideas warranted the creation of a new language, they did that as well to explain the logical forms of their philosophical claims. According to Ganeri, these developments were possible because the philosophers lived on the fringe — they lived near intellectual centers like Navadipa and Varanasi— but were not too deeply involved in the affairs of the city. Another reason was the sponsorship they got from the Mughal Court to the Bengal Sultanate to various rich patrons. Though these philosophers lived during the time of Dara Shikoh and the Mughal empire with its strong Persian influence, that influence was not seen in the Sanskritic works. Ganeri also acknowledges the difficulty in reconstructing the biographies of most of these philosophers and instead analyses the history of these ideas against the context of sastra andsampradaya. Fortunately we have sufficient information about the social, political and intellectual context in which Navya Nyaya flourished. This approach has helped him analyze not just the thinker, but also the so-called modernity that he brings in. This sampradaya based system was eventually scuttled by the British, who decided that such a system was irrelevant. According to Ganeri, another reason for putting an end to this system was because it provided a strong intellectual basis against colonialism. As you read through the book, it even makes you wonder if the term — modernity — is the right one to describe these developments. This constant questioning and challenging the established was always part of Indian darshanas and not something unique to the 15th century. The Upanishads criticised the ritualism and ceremonialism in the Brahmanas while appreciating the philosophical concepts in the Mantras. Buddhism repudiated the concept of the individual self while Nyaya-Vaisheshika recognised the individual self to be the ultimate. According to Prof Hiriyanna, “we have all the different shades of philosophic theory repeated twice over in India, once in the six systems and again in Buddhism”. Which among these should one consider modern? In the conclusion of the book Ganeri expresses shock that modern philosophy is taught in Europe without mentioning Indian philosophers. There is nothing to be shocked about this; most European or American courses don’t mention developments in Indian math or science either. For example, the Kerala mathematician Nilakanta, who was a contemporary of Raghunatha Shiromani, revised the Indian planetary model for the interior planets, Mercury and Venus and for this he formulated equations to find the center of the planets better than both Islamic and European traditions. In their propensity to solve astronomical problems, mathematicians of the Kerala school developed concepts like Gregory’s series and the Leibniz’s series. Yuktibhasha, the text written by Jyesthadeva, contain proofs of the theorems and the derivations of the rules, making it a complete text of mathematical analysis and possibly the first calculus text. Thanks to the efforts of late Prof KV Sarma, Dr CK Raju, Dr MD Srinivas, Dr MS Sriram, Dr K Ramasubramanian and Dr George G Joseph, Indians and Western scholars are becoming more aware of the Indian contributions to Mathematics and understanding how those ideas spread to the West. Similarly, Ganeri’s book besides giving a great introduction to the Navya Nyaya school and the social and political atmosphere in which it flourished, documents the vibrant philosophical culture that encouraged ‘modernity’ even before the Western influence came in.